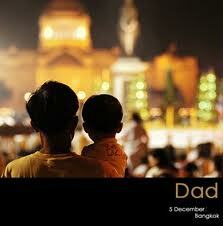 December 5th of every year is Father’s day in Thailand. It is the birthday of His Majesty King Bhumibol Adulyadej (พระบาทสมเด็จพระเจ้าอยู่หัวภูมิพลอดุลยเดช). This year (5 December 2012) he is 85 year-old. 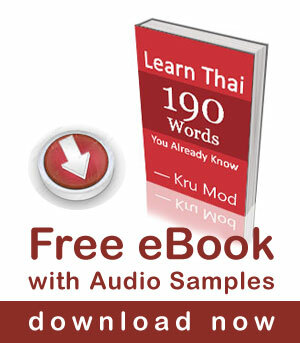 I am sure many of you have already known father in Thai is พ่อ [pâw], but not everyone calls their father พ่อ [pâw]. Let’s learn other words as well. สุขสันต์วันพ่อค่ะ [sùk-săn wan pâw] Happy Father’s day.